Everyone loves a bowl of well cooked pasta. However, many home cooks struggle to replicate the bouncy firmness of Al Dente pasta. Although many different factors can affect your pasta’s end result, a common mistake is using the wrong cooking utensil. Using a pot too small, or one made of the wrong material can be disastrous. Personally having made that mistake in the past, all we can say is scrubbing mushy burnt pasta takes quite the toll on the individual and the poor pot! Based on past difficulties and research, here are the best pasta pots available in the market that boil your preferred pasta to perfection – every single time. The word multifunctional describes this pot most aptly. Al-Clad Manufacturers have come a long way in the production of sturdy cookware that provides premium results. This pot’s ideal size can cook pasta for up to 4-5 servings, and is structured for convenient usage. The design incorporates larger-than-usual handles, serving as a testament towards the objective of easy functionality that aims to provide stress free handling. Other useful features include induction compatibility, which allows for even heating and speedy cooking times. The perforated pasta basket insert doubles as steamer – a bonus when creating more dishes with meat, vegetables, and broths. Additionally, the stainless steel body is dishwasher friendly and is long lasting. However, for some users, the inserts may not be deep enough and might not fit well. For some these shortcomings have posed a serious nuisance when boiling water. This may also cause instability when placing and removing the insert, which makes us wonder whether the hefty price is truly worth it. The Bialetti Pasta Pot is offered in a variety of colors from blues to reds, proving that your kitchen utensils don’t need to be all steel. The oval Italian design is intentional and provides sufficient cooking space, ensuring a thorough cook. The lock and pour design of the lid integrates heat resistant handles for extra safety and functionality when straining. What we enjoy about this pot is that it eliminates the need for a colander or additional dishes thanks to the lock-and-pour design mitigating the need for additional inserts. The aluminum constructions allows quick and even heating possibilities ideal for cooking on gas, electric, ceramic or glass stovetops. That aside, there are a few nuances that lower the value of the pot. It is neither dishwasher nor oven safe, and reacts poorly to metal utensils. Some customers point to its lid function being faulty drastically reducing its utility. The highpoint is its affordability and 5 year warranty, making it better suited for a novice chef on a budget. For someone with little expectations from their pot, it is a reasonable purchase. Cook for one or the whole neighborhood; the large 12 Quart capacity cooks family sized servings with ease. The depth of the pot allows spaghetti to move in the pan without the possibility of water splashing out during boiling. Manufactured with stainless steel of 18/10, the pot offers premium quality, and encapsulates the body and handles in a mirror finish. It is capable of heavy and light cooking and does not react with the natural acids found in food. Its large handles allow support and easy maneuverability of the pot when hot, which is further bolstered by the securely fitted drip-free rim. Its lightweight makes for easy loading and unloading in the dishwasher and oven. This 4 piece set has a 9” depth, making it multipurpose and capable of cooking up to a pound of food. The aluminum base heats food evenly and quickly, and offers the possibilities of boiling, slow simmers, steaming and reducing liquids, amongst others. Calphalon’s nonstick pasta pot is a beautiful utensil that cooks well. The heavy gauge and hard-anodized aluminum design makes it suitable for heavy duty use and long-lasting. The pot offers an even heating process, leaving no cold spots while the anodization helps in mitigating all possible reactions that could occur between the material and the acid found in food. The tempered transparent lid allows for safe and easy supervision of the cooking process. The 8-quart stock pot capacity provides large servings in one go for big families. 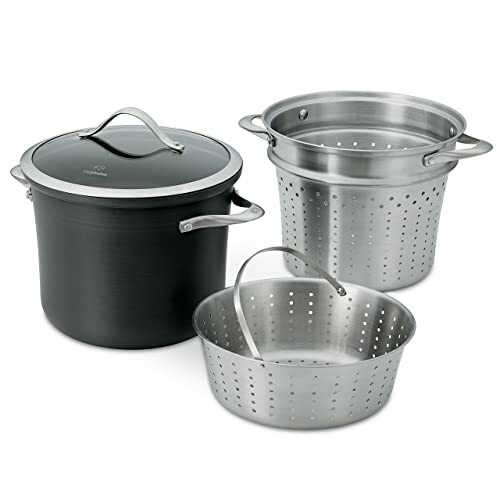 The 4 piece set allows for multiple applications of the pots such as steaming, broiling, and sautéing. It is oven safe and can bear temperatures up to 450 degrees Fahrenheit. And the inserts are perforated for effective drainage and the seamless straining of pasta. However, there have been complaints regarding its manufacturing. In some cases it may not hold well in the dishwasher, and its paint might peel. Additionally, the lack of a steam-escape is not one of our favorite features. While it offers a lifetime warranty, there may be instances of uneven manufacturing and defects. It is a beautiful and expensive utensil that scores high in terms of aesthetics and cooking capability. However, we feel it might not live up to the expectations it sets in terms of its nonstick and dishwasher safe features. This pot blends aesthetics with functionality and is offered in a variety of colorful choices. Its quart capacity allows up to 6 servings, ideal for family meals. It heats up quickly and evenly while the oval design is suitable for longer spaghetti strains. The intentionally oval design fits on standard sized burners comfortably, allowing ample space for other pots while the nonstick oval interior allows pasta to cook evenly without sticking to the bottom. 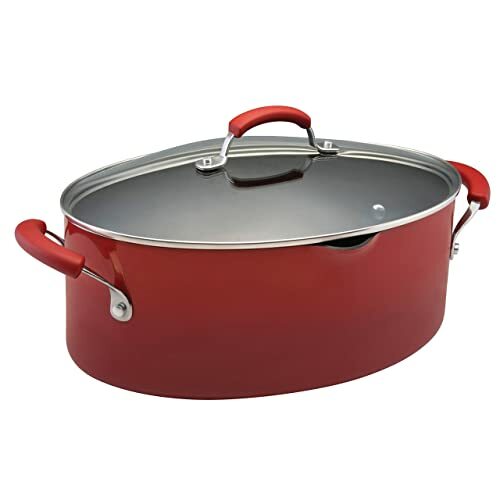 The hard enamel finish provides extra durability while cooking at high temperatures. It can also withstand oven temperatures of up to 350 degrees Fahrenheit. The rubberized grip handles are double riveted, and provide extra stability while handling hot food. According to reviews, it should be hand-washed only as the paint may wear off due to dishwasher cycles. This pot requires upkeep to maintain its pristine condition. It lacks an opening for steam to escape and does not offer any inserts making straining noodles tricky. Some reviews mention difficulties with the fitting of the lid design while we feel the pot is heavy with limited design features and makes for a pricey purchase. What Are The Benefits of a Pasta Pot? 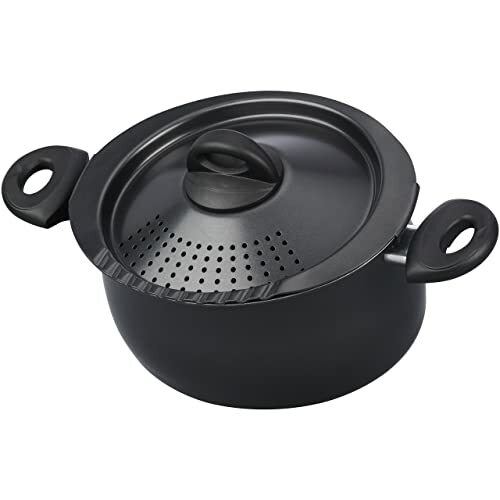 Most pots perform multiple duties, saving costs on purchasing additional cooking tools such as a separate steamer, pot, and colander. Good quality pasta pots can be used interchangeably to boil pasta, fry or sauté vegetables, steam ingredients and cook stock. Nonstick varieties are ideal for novice cooks prone to accidents or burning. These can withstand high heat and minor scratches. They allow pasta to cook evenly without sticking to the pan while the aluminum varieties speed up the cooking. Inserts or smart designs conduct heat better and are scratch resistant. They make straining pasta easier, avoiding burning accidents. 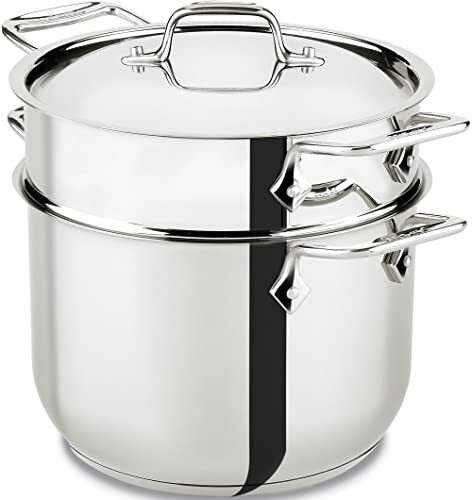 The capacity of a cooking pot is an important aspect when considering purchase. How many times of the week do you cook? Are you boiling only or using it for sautéed or saucy dishes? Are you cooking with fat? The frequency of use and type of food will affect your choice of pan. The size and storage space a pot consumes can often be a higher priority for some consumers. Are you working in a congested space? Do you have sufficient storage and cooking space? If working in a small space, buying a smaller pot allows for easy integration into the area. What sort of cooktop do you own? A gas or electric is compatible with steel, iron and glass variety. If you own an induction cooktop, look for compatible pots and pans. Do you use a dishwasher to clean? Do you plan to cook with the pot in the oven? Consider the methods you may want to use to cook and wash the pan. Most varieties are not dishwasher and oven friendly. Do you have the budget required to accommodate the price of the pot? Are you looking for durable pots with intense cooking capabilities or for aesthetics? If upgrading to better quality, keeping the affordability factor in mind is advisable. Most pots cost higher if they offer better quality and durability. 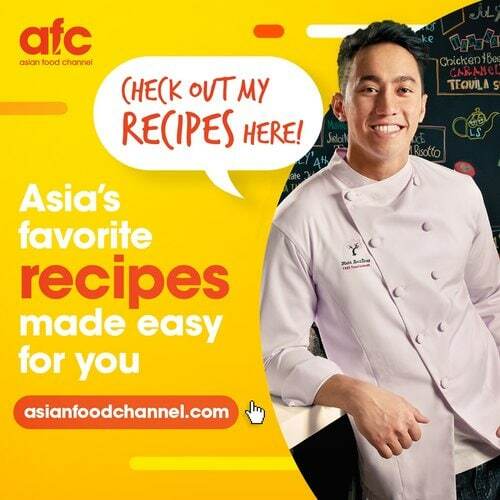 Are you a beginner at cooking? You might need to choose nonstick variety for more practice. High durability is an important aspect to keep in mind if you have a small replacement budget. Anodized aluminum is electronically sealed and does not affect the acidity of the food during the cooking process. Nonstick can withstand high heat and aluminum is lightweight and a good heat conductor. Certain types of materials can react with food substances at high heats to leave a specific taste to the food, you may need to consider if you may be allergic to any specific materials. Choose a material better suited to your body chemistry. 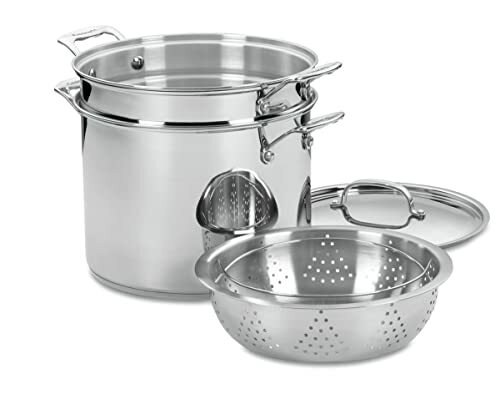 After testing all pasta pots, the Cuisinart 77-412 Chef’s Classic Set qualifies as our best pasta pot for creating various boiled and steamed dishes. With a 12-quart capacity, it is suited to cooking for large gatherings. The tight, drip free lid prevents accidents while its gripping handles make the pan easy to maneuver when hot. It has the ability to withstand oven temperatures of up to 550 Degrees Fahrenheit and is dishwasher friendly, making it our top contender in terms of durability and performance. It’s design elevates its appeal while its functionality performs well in terms of heating, simmering, steaming, and boiling. With a lifetime warranty and additional cooking inserts, the drip-free multipurpose nature of this model justifies its price and emerges as our best pasta pot in 2019.